The Spanish would start a guerrilla war against French forces all over Spain. These tactics were the only option for the Spanish, who didn’t have the military power to fight traditional battles against the French. This war is seen by historians as one of the first wars of national liberation done by the regular people of France. Like most wars of this nature, the guerrilla’s were tough on their own people as well as the French. The Spanish people were forced to either join the guerrilla military or support it with food and supplies, but if they didn’t they were punished harshly by their own people. 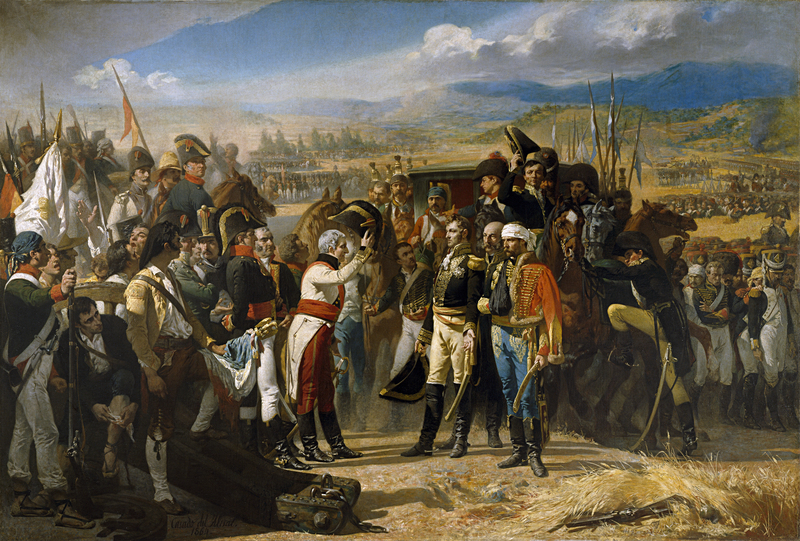 Napoleon saw the Spanish army as the least powerful in Europe and figured if he attacked them they would fall quickly. He chose to attack all the cities that had started to uprising and then spread out from those locations. French General Dupont would bring some of the least talented French forces to Bailén to start these attacks. The French army would be forced to surrender 18,000 men in a catastrophic loss for the Grande Armée at the Battle of Bailén (1808). General Dupont was court martialed and thrown in jail for this loss,with Napoleon openly complaining that he didn’t have any real generals. From that moment on he would make the act of surrendering to be a crime punishable by death. As Napoleon marched to Spain, the British troops would send their own troops and supplies to the country to try to counter his influence. The French brought so many troops to Spain that it spooked the British and they chose to retreat from the country. The Second Siege of Zaragoza (1808-09) would become the most well-known and bloody battles of the war. The city of Saragossa (or Zaragoza) was extremely well built but poorly defended, which led to the French getting passed the walls relatively quickly. Once inside, the French and Spanish would turn to slow, street to street fighting in the narrow streets of the city. French superiority in equipment and training would eventually be too much for the Spanish to handle, and the French would take over the city. The French would demolish the city in the fighting and kill over 54,000 people in the battle, around 30,000 of which were civilians. Many of the American colonies had sensed the weakness of Junta of Seville and had started to set up their own juntas to represent themselves instead of bowing to Spanish decisions. To counter these issues, the Spanish would dissolve the junta and establish the first national assembly the Cádiz Cortes (1810) instead. This Cádiz Cortes was a 5-person regency that would officially represent all Spanish land, even though the Americans chose to ignore it’s decisions. This assembly divided the government into 3 branches, like the US, and created the Spanish Constitution of 1812. This liberal constitution tried to set up many different changes, like equality before the law, universal male suffrage, and more. This constitution would end up being the model for all Latin American nations after they broke from the Spanish.